Twitter announced that it’s rolling out a couple of new features today, and they might just change how you use the social networking service. The first new feature sees the introduction of group messaging, while the second makes it possible to shoot, edit, and share videos directly from the Twitter app. An extension of the current Direct Messages option, you will be able to use the new group messaging feature to chat privately with up to twenty of your followers at a time, and they don’t need to be following each other to participate. Anybody added to a group will receive a notification, and besides chatting, you can also share tweets from your timeline with the participants. The new video feature will allow you to create and tweet videos up to 30 seconds in length from both the Android and iPhone apps. You can shoot videos in segments, and then drag-and-drop the clips until you are happy with the final result. In addition, iPhone users will be able to upload videos from their device. Although that capability won’t be available to Android users straightway, it will be coming soon. Once created, videos are previewed with a thumbnail and can be played with a single tap. 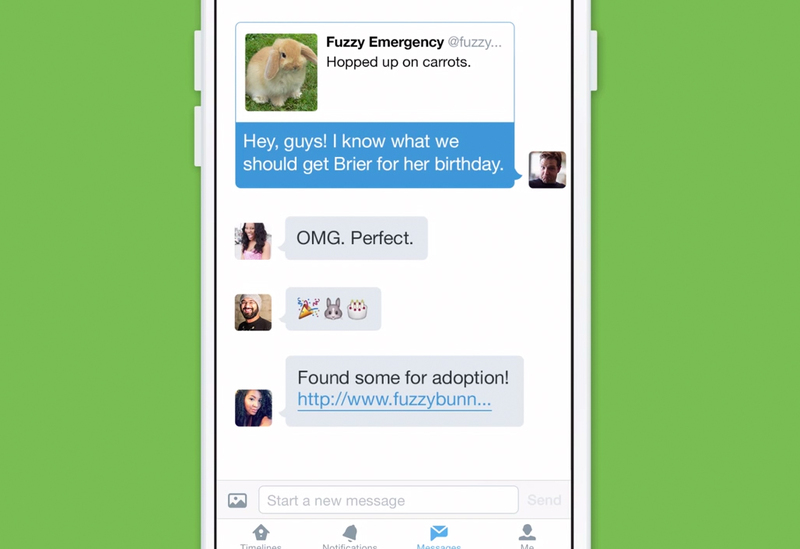 Twitter says both the new features will be rolling out to all users over the coming days. It will be interesting to see how the new video option competes with Vine – the short-form video sharing service Twitter acquired a couple of years ago, but it’s the group messaging that I’m personally most looking forward to trying. What do you think about these updates? Let us know your thoughts by leaving a comment below, or via your preferred social network.